BMW Motorrad starts its sales activities on the Indian motorcycle market with two official importers as of December 2010. 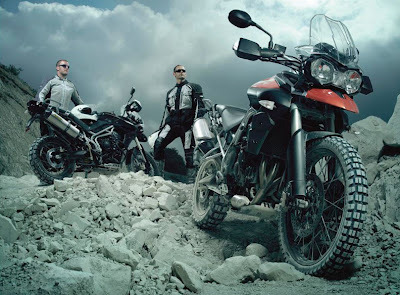 With "Deutsche Motoren" in Delhi in the north of India and "Navnit Motors" in Mumbai on the west coast and Bangalore in the southern part of the country, BMW Motorrad is relying on two experienced BMW Group partners. With these three sales outlets the German motorcycle manufacturer is represented in the strategically important regions. Hendrik von Kuenheim, General Director BMW Motorrad: "The BMW Group has already established itself very successfully in India with a local BMW automobile production and a sales network for BMW Group automobiles. Now the market for premium motorcycles is beginning to develop, too. The sales activities now commencing with our two experienced BMW Group partners are of long-term significance to BMW Motorrad. We are confident our motorcycles will swiftly become established in timely preparation for the growing market." As the most innovative manufacturer of large-volume premium motorcycles in the segments enduro, touring, sports touring and sports, BMW Motorrad is opening a new chapter in its successful market strategy by starting sales activities in India. The motorcycles will be produced at the BMW Motorrad plant in Berlin and supplied to India as CBU (completely built up) units. 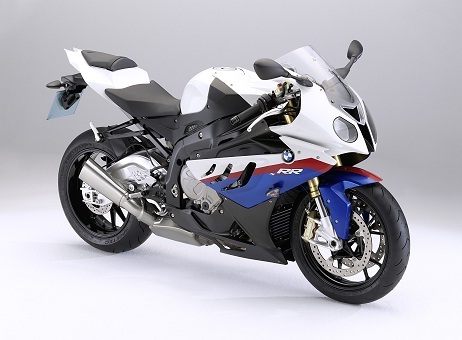 BMW Motorrad will initially offer the current models of the R and K series as well as the superbike S 1000 RR, i.e. premium vehicles in each of the relevant categories. The BMW motorcycles of the R series such as the legendary enduro bike BMW R 1200 GS enthuse customers with their unique and distinctive boxer engine in particular. The BMW K models are regarded as the benchmark in the segment of large-volume 4-cylinder motorcycles due to their technological innovations and superior engine output. Both series also offer the very finest quality in chassis technology and an exemplary standard of safety with the BMW Motorrad ABS. The S 1000 RR, BMWs first superbike, became the most admired sports bike of its class in the motorcycle season 2010. Remember that BMW S1000RR commercial where they pulled a tablecloth out from under some plates? No? Well, here's a little refresh for you below. Think they incorporated some tricks to accomplish that feat? The popular TV program, Mythbusters wanted to see if they could duplicate it. Admittedly, they didn't try it with a BMW S1000RR though, instead they've used a Erik Buell Racing bike - a modified 1125R. 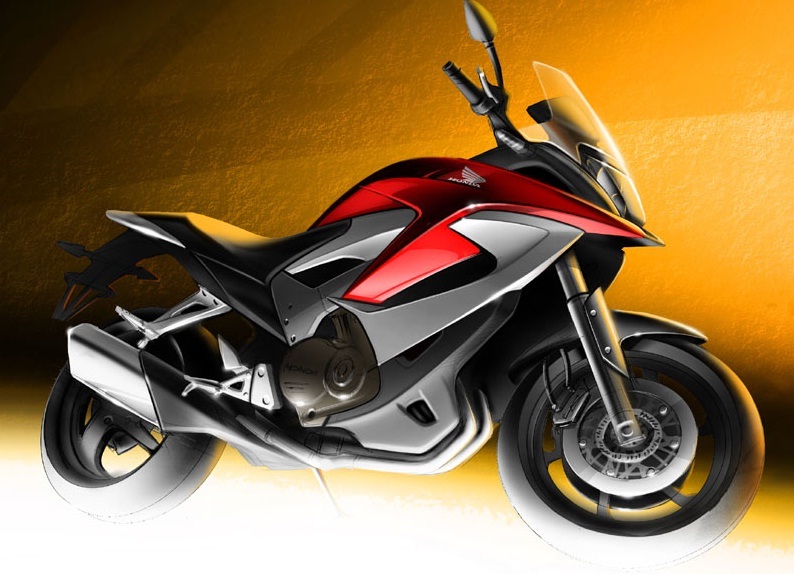 Honda's new VFR800X adventure bike is set to be unveiled at the Milan bike show next week, but in the meantime they've released a final sketch which gives a pretty good idea of what the finished bike will look like. The new adventure bike appears to have 17” cast road bike wheels so off-road excursions will likely be limited to gravel road type conditions. It's more street oriented with 'adventure' coming by way of it's touring and passenger carrying abilities. "This mid-range machine is an exciting new approach – a crossover machine that represents the best aspects of two separate biking genres. 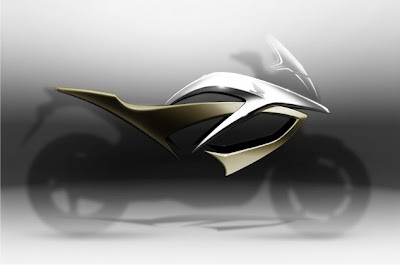 It will have the flexibility and exciting attitude of a Naked performance machine, with the more comfortable upright riding position and design cues inspired by adventure bikes. "With the low centre of gravity of a performance bike it is great fun to ride, and because of its wide handlebars and upright riding position it is both easy to manoeuvre and comfortable." 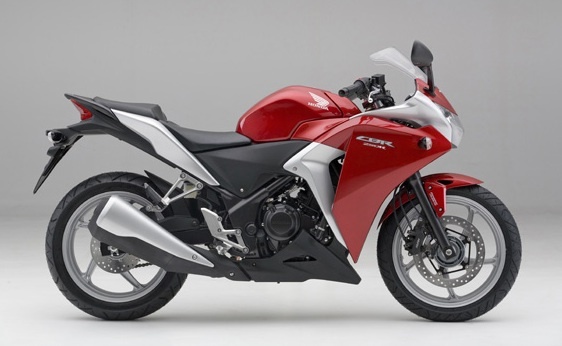 Honda Canada is going to be bringing a CBR 250 R to a Honda showroom near you soon. While pricing is yet to be announced there are quite a few details available. The single-cylinder engine is mated to a six speed transmission. 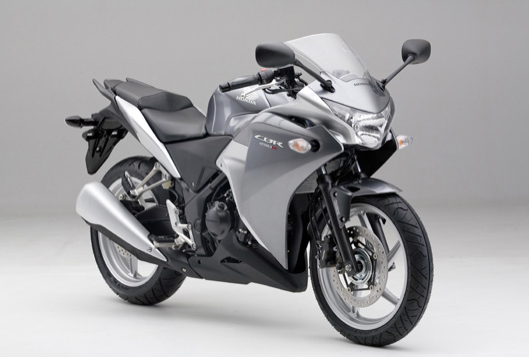 The 13 liter fuel tank and should give the little CBR plenty of range given fuel economy claims of 3.7L/100 km (76 mpg). That's about 350 km per tank by our math. It'll even be available with combined ABS. Tires on the rear will be 140/70-17 while the front is a 110/70-17. Check out the SITE and VIDEO Honda have posted for additional details. In a bit of a surprise move - Triumph has a new 675R model which hasn't been 'leaked' to the public. Well, not until very recently at least. 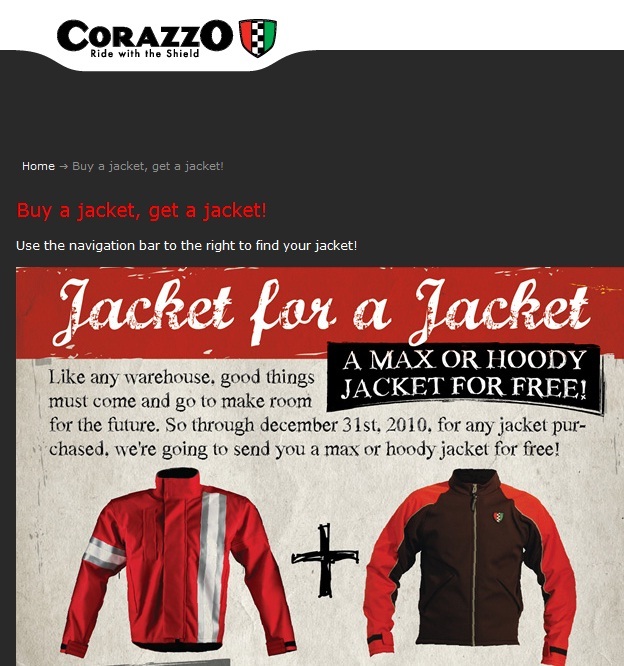 This strategy is quite contrary to the marketing technique applied to the Tiger 800's which Triumph have been officially 'leaking' information of for months in attempt to generate buzz for the new machines. Despite being a fairly unpopular strategy it seems to have worked for the 800's. The 800's have all the bloggers and news sites talking. 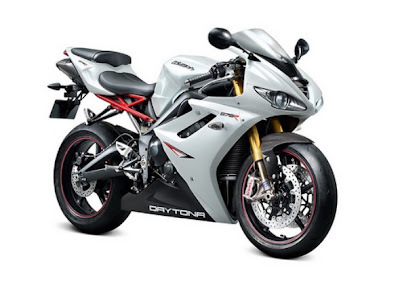 This new higher spec version of the Daytona 675 features Ohlins suspension, carbon front mudguard, Brembo Monoblocks and a red subframe. No word yet if there will be power gains to match the handling benefits of the new suspension and brakes. Expect more information to be available during the upcoming Milan show in early November. Came across this great video by Henrik Hansen featuring Shinya Kimura; a Japanese born custom bike builder and founder of Zero Engineering and Chabott Engineering. Shinya founded Zero Engineering in Okazaki Japan in 1992 Currently Shinya has left Zero Engineering and launched his own studio called Chabott Engineering in Azusa, California. He plans to build both custom bikes as well as "moving himself toward the world of art." New bikes always seem to be a lightning rod for critiques and comments. The new Triumph Tiger 800 is no exception. Even with the sparse photo's and details on the bike it's been receiving a lot of attention in motorcycle forums. Plenty of people seem to love the way it looks and others don't... too many frame bends, too much of a BMW F800 GS clone, etc. etc. It's rumored something is in the works at Honda Canada. A canadian dealer has dropped some hints that there's an embargo on information until October 25th but that rumors are that we'll see a 250cc street bike. Could it be that Honda Canada is bringing a Kawasaki Ninja 250 fighter to the market? It would make sense to try to grab some of the 250 market share. 250cc makes a good entry level bike size that's highway capable. Not only does this size appeal to the budget conscious new rider but the frugal commuter type looking for something cheap to insure that gets great fuel economy. Maybe it'll look something like this? VFR1200 inspired headlight with CBR1000RR inspired bodywork. One can hope. Mini / BMW does "scooter"
Nobody would question that Mini has a pretty big marketing budget and slew of loyal buyers. That might be worrisome to scooter makers should Mini decide to put their new scooter concept into production, particularly brands that appeal to fashion and lifestyle conscious buyers - say Vespa perhaps. It's electric, and suitable for city dwellers which limits its praticality for a lot of Canadians. Still, we're told the biggest market for scooters in Canada is in Quebec. This would certainly work in a city like Montreal. It's a bit early to be getting excited about the 2011 Edition of the Dakar is it not? No, no, I don't think so. This year is going to be particularly memorable because it'll be the year that everybody rides a 450. Not only that, they're reducing the functionality of the GPS for riders making navigation and being able to decipher your roadbook even more crucial. 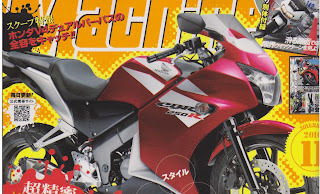 "all elite riders in the bike category obliged to ride on a machine whose power does not exceed 450cc. 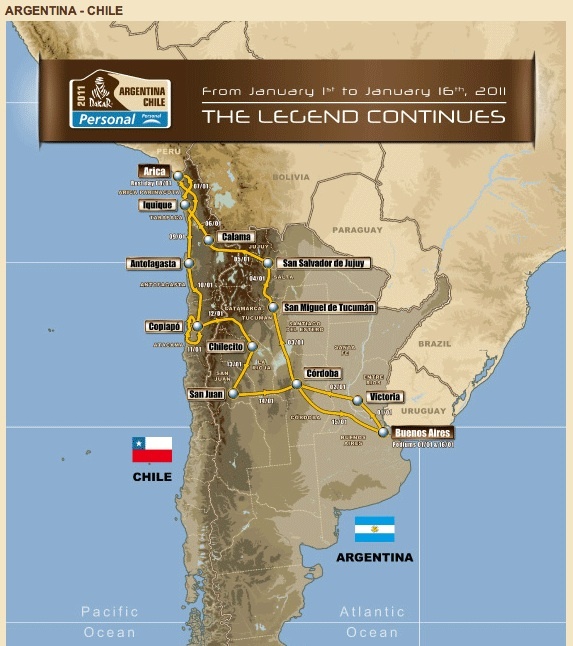 Furthermore, the GPS functions have been reduced for guidance to the WPM (way point markers), giving priority to reading and mastering the road-book"
The 2011 running takes place 1st to 16th January 2011 and takes place in South America (in Argentina and Chile) again this year. 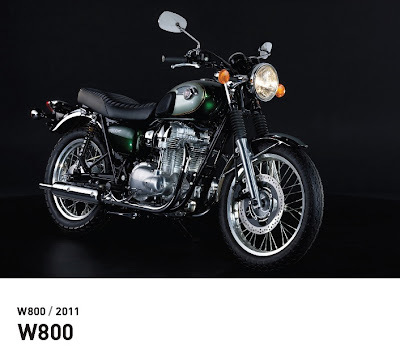 A nice looking modern retro from Kawasaki that won't (for now at least) be coming to Canada. The folks in Europe - yeah, they're getting it. Air cooled, four stroke - vertical twin 800 cc engine. Classic looks. 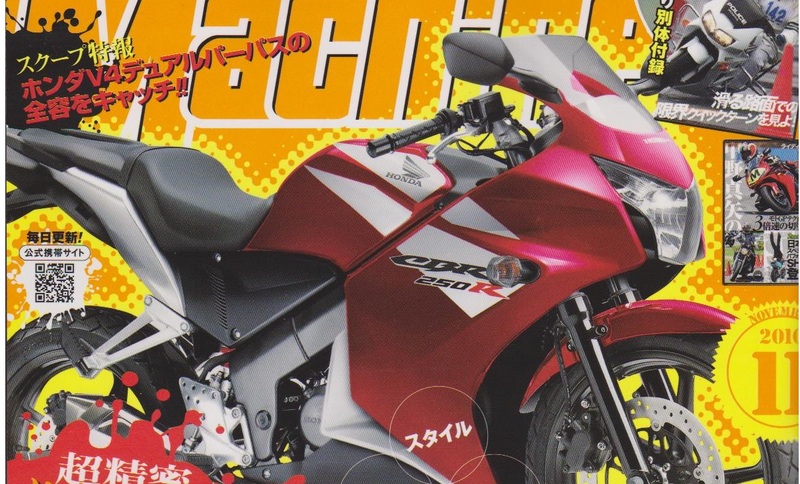 Honda has shown a sketch of a new "adventure" model. It's said to be based on the VFR1200 but there's some speculation that it may have a smaller displacement than the 1200 cc version. 800cc perhaps? It will supposedly debut in Milan as a 2012 model. Here's the sketch of the bike, with its much more svelte fairing super-imposed over VFR1200 silhouette. We'll reserve judgement until it's released in more official form. Being a VFR800 owner I'd like to see a return to the smaller size bike. Triumph Tiger 800 - Revealed! Triumph's new 800 cc triple will come in two variants. A street biased machine with a 19-inch front wheel and non-tubed tires while the off-road biased Triumph Tiger 800 XC will have a21-inch front, a little more engine protection, spoked wheels and tubed tires. Here's a shot of the 800 XC. 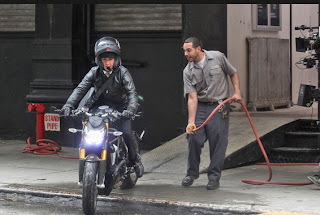 Looks very BMW F800 GS like. It should have a little more power (Internet speculation puts it somewhere around the 100 hp mark) than the F800 though; which would seem to be its closest competition. It is looking like Mother Nature will be blessing us with some great riding weather for the final two rounds in Wheatly on Oct 30 and Moto Park on Nov 6. Please note both of these events will be on SATURDAY instead of the traditional Sunday. Cross Country Licenses for 2010 season purchased after Oct 1 are only $40. Riders with a full CMRC license do not need to purchase the Cross Country license. After the Moto Park event there will be a season ending PARTY in the main building - please plan on sticking around and celebrating a great season of racing!! "Come blow some carbon outta your bike. Lots of lines for passing and a new MX track layout!!" - Take 401 to Hwy 77 Exit (Comber) and go south towards Leamington to Hwy #3. - Go east on Hwy 3 towards Wheatley to Mersea County Road 21. Yes, you read correctly… it’s the first Saturday of November and we’re finishing the series with a bang! Party afterwards at the Motopark café so stick around… you don’t have to get up early the next day. We have a new longer course design that includes the big GP Motocross track! *Pee Wee riders will have a fantastic course with professionally designed jumps and turns specifically for minis. The course is fast with an advantage to those riders with motocross speed. There are a lot of terrain changes and loose rock giving those seasoned enduro riders a chance to show how to deal with technical obstacles. The longer course is guaranteed to entertain with fantastic spectator opportunities alongside the huge MX track. Bring your warm clothes, but remember you can hang out and drink hot chocolate at the Motopark cafe all day. Remember the Wiesner Insurance Holeshot Award. Last chance in 2010 for a Pro to collect $100! Directions to Motopark: located just off Hwy # 6 south of the town of Chatsworth. When travelling north on Hwy # 6, turn left on Moto Park Drive. Look for the signs… you can’t miss it. 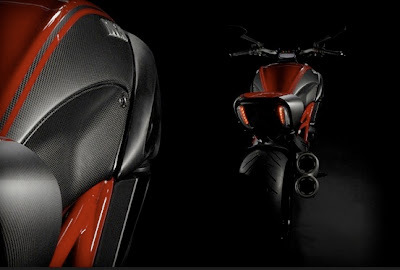 Ducati Diavel - Teaser photo... if you haven't seen it already. Ducati is excited to announce that after months of speculation the long wait is almost over, the new Diavel will make its first public appearance at the EICMA International Motorcycle Show this coming November. Announcing the new model’s name ahead of the official presentation, the famous Italian manufacturer is about to turn another dream into reality. This dream comes true via using the local Bolognese dialect for “devil” in naming their new model the Diavel – pronounced Dee-ah-vel. From that moment on, Diavel became the nickname for the project. Ducati now makes the name official as it approaches the unveiling in Milan. Reminiscent of how the “Monster” was named 20 years ago, the Diavel is now destined to follow the same Bolognese tradition. Ducati is proud to continue shaping the future of motorcycling while staying faithful to its Italian heritage. Built to have a commanding presence, though lightweight and agile, the Diavel will take the man-motorcycle relationship to the next level in absolute comfort. For fans of technology ABS, Ducati Traction Control and Ducati Riding Modes will deliver a confidence-inspiring sophistication. Stunning looks, the Superbike-derived Testastretta 11° engine and 456lb of authentic Ducati performance will drive a comfortable sport lifestyle that could only be dreamt of until now. Ducati Motor Holding unveiled the first of its 2011 models today at the INTERMOT International Motorcycle Fair; highlighted by the new 1198 SP Superbike. “We decided to consolidate our presence here in Cologne because we believe in the importance of this event, which opens the European motor show season;" stated Gabriele Del Torchio, President of Ducati Motor Holding. The 1198 SP is the new crown jewel of Ducati’s formidable Superbike family. It features a massive 170hp and 97 lb/ft of torque combined with a flyweight of 370lbs. Making the package work for the rider is a combination of electronic rider aids and performance oriented hard parts found on no other sport bike available. The electronics include a MotoGP derived digital dash, Ducati Traction Control, the new Ducati Quick Shifter and a Ducati Data Analyzer to review all measures of performance data. The top of the line suspension includes Ohlins front forks and an Ohlins TTx rear shock. 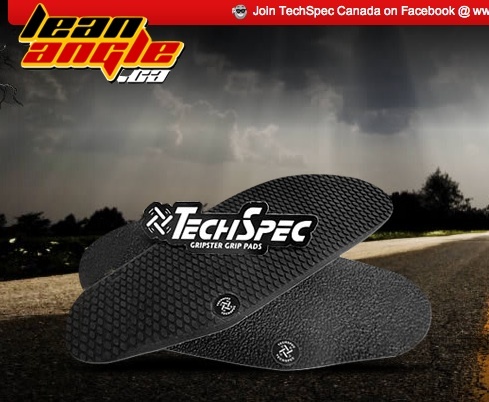 These match up with a Ducati Performance Slipper Clutch, aluminum fuel tank and Brembo Monobloc calipers to ensure world class performance for only $26,995CDN. Setting the standard for Superbike lust is the Ducati 1198. 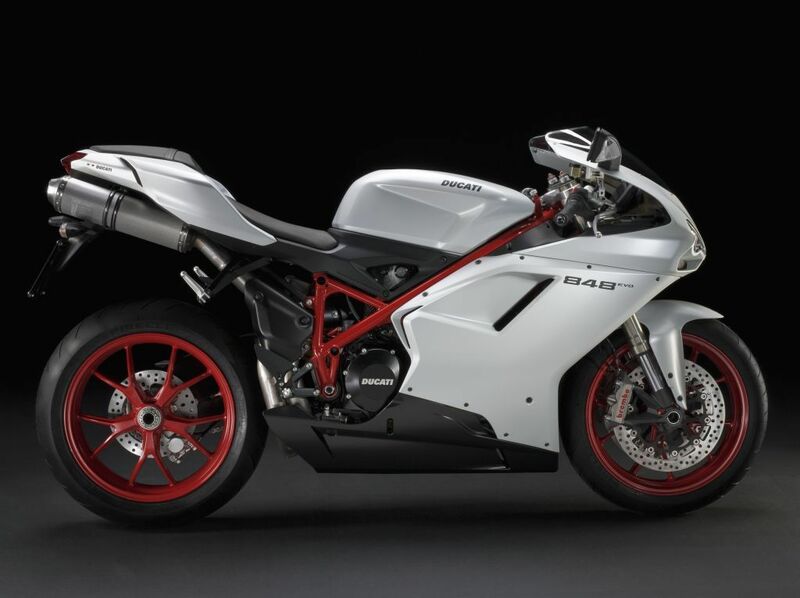 For 2011 the 1198 features a host of upgrades at no extra cost as a reminder to new market competition that Ducati is still the class of the field. The 1198 will now come with the Ducati Traction Control system (DTC) fitted as standard; improving rider safety and lap times in spades. Supporting the DTC system is the new Ducati Quick Shifter, (DQS) which will further assist riders in their never ending conquest for speed. The Ducati Data Analyzer (DDA) enables riders to download traction control and six other performance parameters in order to better understand and improve their riding habits. The 2011 1198 will arrive in showrooms this December at $19,995CDN; just in time to prep the bike for racing season. 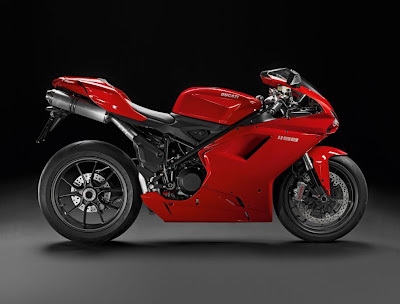 The 848EVO was announced as an early 2011 model this past July. Packing 140hp and weighing a featherweight 369lbs, it is the best performing middleweight sport bike on the market. Already available in Stealth Black and Ducati Red, Intermot saw the addition of a limited production scheme: Arctic White with a red frame and red wheels. Pricing for the 848EVO Dark is an aggressive $15,495CDN. Like motorcycles - Parlez Vous Francais? If you speak French and know a lot about motorcycles and customer service - Yamaha's got a job for you. They're looking for a territory sales manager in Quebec. The Ad is on their website HERE if you're interested. Intermot is upon us and new photo's of bikes are quickly making their way to the web. BMW finally showed some real pictures of their new flagship models; the K 1600 GT and K 1600 GTL. - In-line 6-cylinder engine with a high level of pulling power, especially in the lower and medium engine speed range. - Engine output 118 kW (160 bhp) at 7 750 rpm and maximum torque 175 Nm at 5 250 rpm. - Over 70 per cent of the maximum torque is already available from 1 500 rpm. - The lightest and most compact 6-cylinder in-line engine in serial motorcycle production > 1000 cc weighing just 102.6 kg and measuring 555 mm in width. - Consistent lightweight construction throughout the entire vehicle (magnesium front panel carrier, aluminium rear frame, crankshaft etc.). 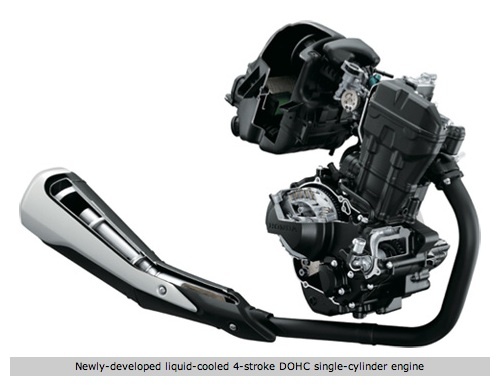 - High active safety due to standard BMW Motorrad Integral ABS (part integral). - Dynamic traction control DTC (Dynamic Traction Control) for maximum safety when accelerating (optional extra). - Chassis with Duolever and Paralever and ideal mass concentration for dynamic riding properties combined with optimum comfort. - Electronic Suspension Adjustment ESA II for optimum adaptation to all uses and load states (optional extra). 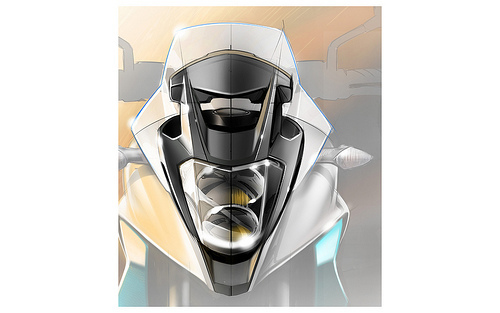 - World premiere in a motorcycle: Adaptive Headlight (optional extra) for increased safety at night in conjunction with standard xenon headlamp and fibre optic rings. - Integrated operating concept with Multi-Controller, TFT colour display and menu guidance for the first time. - Audio system with preparation for navigation device and controllable interface for iPod, MP3, USB, - Bluetooth and satellite radio (USA and Canada only) (standard in the K 1600 GTL). - Innovative design with outstanding wind and weather protection. - K 1600 GT with active riding ergonomics for proactive touring. K 1600 GTL with a very comfortable, relaxed ergonomics set-up for long trips with pillion passenger as well as luxurious touring equipment. - Central locking for storage compartments, panniers and topcase (optional extra). - Extensive fittings and individually tailored accessories at the familiar high level of BMW Motorrad. Yamaha's Bryan Hudgin's Trans-Labrador trip is now underway! 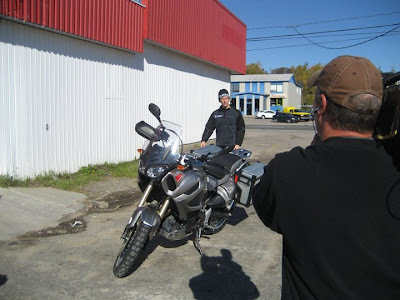 The trip will be later broadcast on TSN's A Motorcycle Experience. Okay, I know lots of motorcyclists will call this a bad idea and not a really a motorcycle. I don't care if you can't call it a motorcycle - it looks like an incredible idea to me that could really open up the market to a lot people who wouldn't consider a two wheeler. A leaning four wheeled motorcycle/vehicle looks like a ton of fun to me! It's going to cost a little more to replace tires - that's about the only downside I see. Some cool stuff is starting to pop up on YoutTube from Intermot already! BMW Motorrad Canada set an all time record for the month of September with 141 retails, an increase of 41.0%over the same period in 2009. BMW Motorrad year-to-date retails of 1,761 units represent an increase of 7.05% over last year. Sunday was an emotionally charged day for the Ducati Xerox Team that, with riders Michel Fabrizio and Noriyuki Haga, ran its final due World Superbike races this afternoon at the French circuit of Magny-Cours; Fabrizio gave his all to reward the team with one final podium, scoring a third place finish in Race 2, Haga coming home in fifth. Race 1 was challenging for both of the Ducati Xerox riders. Michel made a good start, up in third after the first corners; the first half of his race consisted of a battle for the top three places against Max Biaggi, Cal Crutchlow and Sylvain Guintoli. Fabrizio held third place until the fifteenth lap, after which Carlos Checa and Leon Haslam, lying in fourth and fifth respectively, picked up their pace, managing to get past Michel who was by that point struggling with a lack of front grip. The Italian rider continued to push until the very end but ultimately had to be satisfied with sixth position. Noriyuki on the other hand lost a couple of positions off the line and struggled to catch faster riders ahead of him. By mid-race he had regained some of the lost ground but there was already a three second gap between him and Jakub Smrz, ahead of him in seventh, and he was unable to catch the Czech rider who had a slightly faster pace. The Japanese rider closed Race 1 in seventh position. Similar conditions in Race 2, with a track temperature of 30°C. Both Noriyuki and Michel got away well this time, lying in third and fourth place respectively by the end of the first lap. When Cal Crutchlow got past both of them, Noriyuki lost some ground while Michel was able to maintain a strong pace, fighting against Sylvain Guintoli for the third podium spot for the best part of the race. Fabrizio oscillated between third and fourth place until the last lap when a final attack on the French rider paid off; Michel crossed the line in third, a fraction of a second ahead of Guintoli. Haga held fifth position from the third lap to the finish line, running a solitary race sandwiched between the leaders and chasing group. At the end of the 2010 World Superbike Championship, Noriyuki finishes in sixth position in the riders classification, with 258 points, while Michel Fabrizio closes in eighth, having accumulated 195 points. The team has celebrated victories at Valencia, Kyalami and Nurburgring and thanks also to these results, Ducati finishes second in the manufacturers championship, emphasizing the potential of the Ducati 1198. Today’s races were the last for the Ducati Xerox factory team; as already communicated, Ducati will support satellite teams that participate in the 2011 SBK championship rather than run a factory outfit. Over the last 22 years of competition, Ducati has amassed 16 manufacturer’s titles, 13 rider’s titles and a total of 718 podiums, 291 of which race wins. What will reportedly be the new 2011 Kawasaki Z1000S have been shown by the Italian website omnimoto.it among others at this point. Basically what it's a 2010 Kawasaki Z1000 with a fairing. Hopefully it comes to Canada! We'll let you know when we hear more. That means a litre bike with a bias towards flexible power delivery rather than top end track performance, more comfy ergo's, and a fairing. 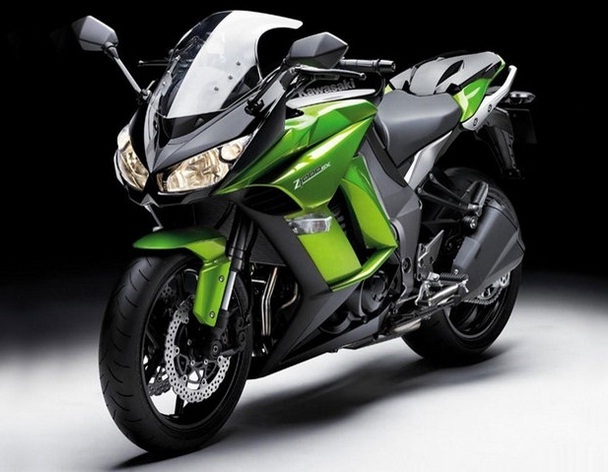 Being based on the Z1000 it will hopefully mean a price tag that comes with a few hundred dollars of the Z at $13,199. The fairing will add some weather protection and make it a little more comfortable as a tourer and highway bike. 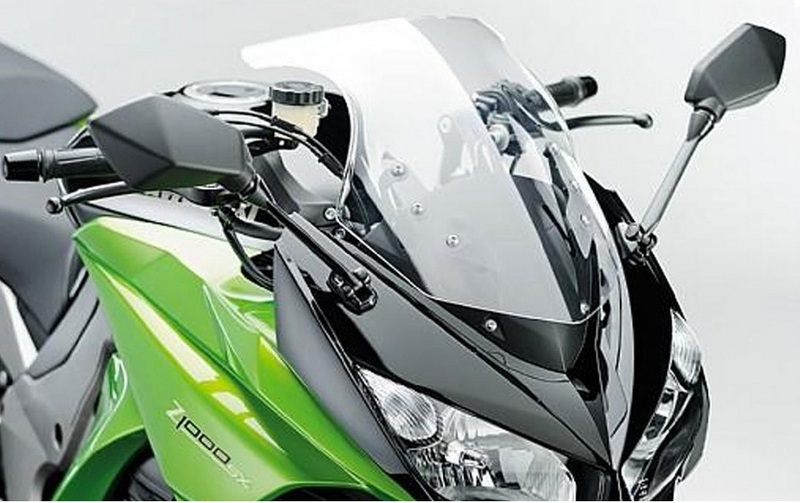 The windscreen is said to offer manual three-position adjustment with over 50 cm of range. The Z1000 makes 136bhp and 81lb/ft of torque from a 1,043cc inline-four which sits in a cast aluminum frame featuring a horizontal rear shock. 480lbs (wet). Apparently photo's are embargoed from publishing until October 5th but this looks pretty real to me.